Rebecca Brand has been cooking for her entire life, and she wants to share her awesome cooking with you! 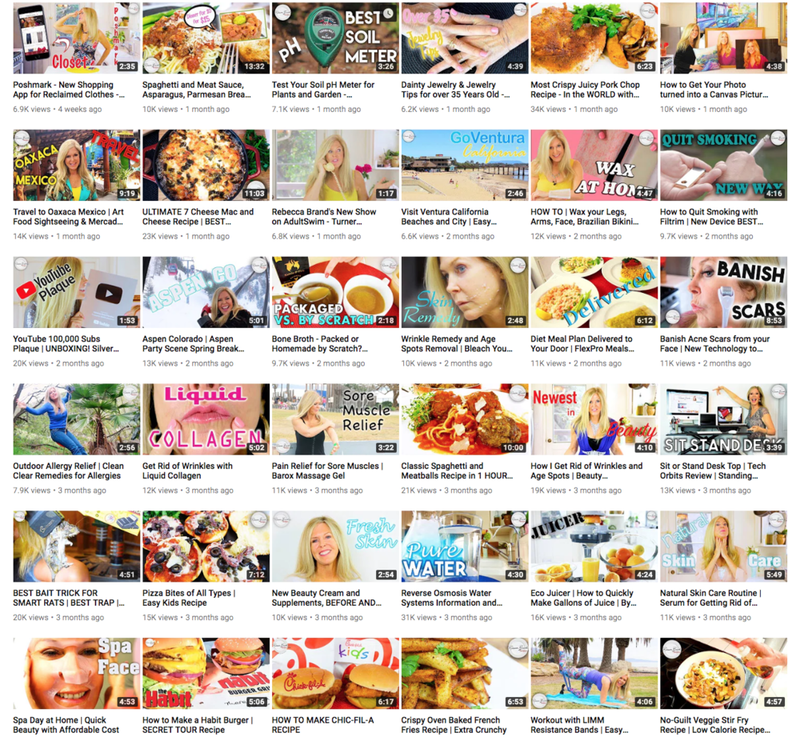 She is constantly updating, and currently has over 800 videos on the Rebecca Brand Recipes YouTube Channel, along with more than 110,000 subscribers, and she puts out new videos every week. Rebecca's videos receive more than 600,000 views per month and audience engagement is 9x more than the average channel. Whether you're a crazy busy stay-at-home mom, who just needs a helpful hint, or a hungry and broke college kid, Rebecca can help you out with a great recipe right now! She's got all the classics from Pizza to Chicken Strips to Lasagne to Coc Au Van, and all the "hot topics" like an awesome Instant Ramen Hack! And she always makes it cheap, easy, and fun! Viral Videos - Too Many to Show! On top of that, she has had a stream of viral hits, such as the Big Mac Burger "hack" with over 3 Million Views! As well as her quick and easy spin on Fettuccine Alfredo: Creamy Chicken Pasta with 2 Million Views. Rebecca's not only about food though. Being a sought after YouTube creator, she is always being approached by different companies who want her to endorse their products, but she only says yes to the very best. Regardless, she always makes it fun, and usually makes it delicious (unless she's making a bed!). Food is passion, and this passion is Delicious! From crispy mouthwatering fried chicken; To freshly baked cinnamon cookies; To healthy and invigorating smoothies. Whatever you're craving, Rebecca can and will make it for you! And Head To Rebecca Brand Recipes YouTube Channel for 100s More!